Ginger spiced tea is warming and delicious. The spicy flavors make it the perfect beverage for autumn and winter. These tea recipes are easy to make at home. Those that don't contain tea are naturally decaffeinated, so you can even drink them right before bed. Fresh gingerroot combines beautifully with the flavors of cardamom and star anise in this delicious tea. Serve this tea with homemade ginger snaps. It makes two 8 ounce servings of decaf tea. Bring water to a simmer in a pan on the stovetop. Add ginger, anise, and cardamom. Simmer for about 20 to 25 minutes. Add cloves and simmer an additional five minutes. Stir in lemon and honey to taste. This creamy tea has spices similar to that in chai, which is a common spice blend. It is fragrant with crystallized ginger and spices. The tea is delicious with pumpkin pie. It serves two. Combine water, cardamom, ginger, cloves, orange zest, star anise, peppercorns, and cinnamon in a pan and bring to a boil. Remove from heat and allow to steep from 10 to 20 minutes depending on how strong you want it. Stir in milk and tea. Remove pan from heat and allow to steep for about five to 10 minutes. Sweeten with sugar if desired. This spicy tea has a little extra zip thanks to the spiciness of Chinese five spice and a dash of an extra ingredient. It is extra warming on a chilly day. Try it with snickerdoodles dipped in Chinese five spice and sugar instead of cinnamon sugar. The recipe serves two. Add ginger, five spice, and cayenne and remove from heat. Smaller pieces of ginger yield stronger flavors more quickly. To infuse flavors faster or make them stronger, cut ginger into smaller pieces or grate it. When working with cloves, anise, and cardamom in the tea, use whole pods as opposed to ground spices. You can sweeten or not to taste. Sweeteners include honey, agave, sugar, brown sugar, stevia, and artificial sweeteners. All of these recipes call optionally for lemon. 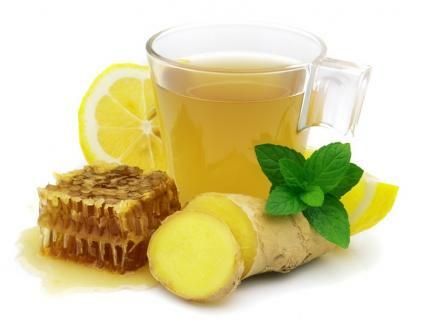 Lemon adds a hit of brightness and acidity to balance out the spicy flavor in the tea. Steeping longer will yield stronger flavors. If you prefer a weaker tea, reduce steeping times by five to 10 minutes. Always strain solids in a wire mesh strainer before serving. Redolent with ginger and spices, these fragrant teas make tea time a pleasure. Try a new flavor the next time you desire a cup of delicious tea.